One thing really struck me is the "Paranoia of using Baby Powders". My son got his dad's "perspiration genes" and perspires a lot! For 4 years, we heavily rely on putting towels at his back or change his clothes several times a day. It is an ultimate "eye sore" on all his photos from baby until today. That's me wiping his neck with soft towel when Kyle was still a baby. It was a requirement to put towel ALL THE TIME! Though "Yaya" was an ultimate distraction, the towel made an appearance again! The "ultimate towel eye sore" is actually not an issue, the real issue started when rashes rear its' ugly head and his skin gets irritated as he started to enjoy the "power of scratching". That's when I realized, I should do something! I should really get Baby Powder for him. Why do I get nervous every time I hear "Baby Powder"? It's not the baby powder but its' main ingredient "TALC". Talc is a mineral used in most baby powders because it absorbs moisture making it useful in keeping skin dry and prevent rashes. Cool right? But after further research, there is a debate on how “talc” in baby powder may be potentially harmful because of its supposed link to cancer. Further research is still ongoing but as a parent, I dare NOT to expose my kid to any product that "MAY" cause him harm. Thankfully, ONE baby product brand came up with a powder that is TALC-FREE! It's from Belo Baby. Made from certified natural and finely milled rice and maize. Carefully formulated without talc, gluten, phthalates, parabens, dyes, and most common allergens. I am finally putting on baby powder on my son's back and neck for the first time in 4 years! This product came in right on time because this year's summer season is just crazy! Cute "tub-like" packaging with flip top cap making it easy-to-use even for moms like me who has active toddlers. I can easily put the powder on top of the table and apply using the sponge that comes with the powder. 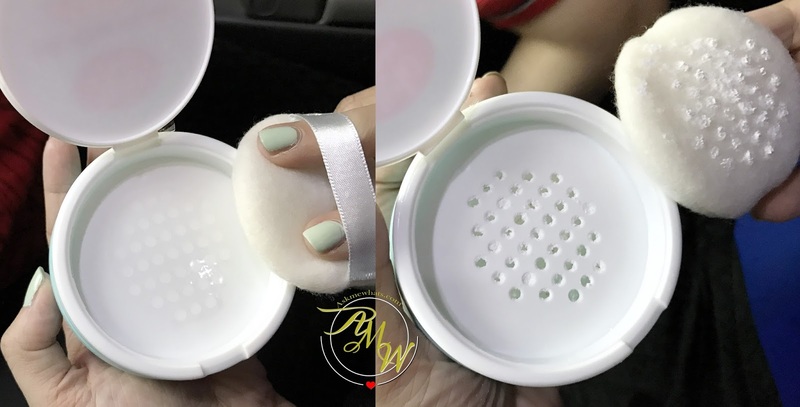 Includes a super soft powder puff! Speaking about the sponge, the sponge is made of good quality. Soft and very smooth to touch. The powder smells great! The fragrance is mild and my son smells fresh even after all the running and perspiring. My son did not develop any skin irritations or allergic reactions after using this for 1 full week. The red rashes (from perspiration) at the back decreased at least 50% The back is smoother too! Talc-free! I feel much better applying this product all over his body and neck. Sometimes I even apply some on his head. It's actually a special bonding for us whenever I apply this product, he actually likes it and always requests for "Baby Powder"! Overall, this is heaven-sent for us! I actually like using this on myself too because I like the refreshing scent and how it doesn't trigger any of my allergies! Belo Baby Talc-free Powder is now available in leading supermarkets and department stores nationwide. You can also buy now here: https://tackthis.co/shop/Belo/category/belo-baby and enjoy FREE delivery until May 31, 2017 with a minimum purchase. For more information visit www.belobaby.ph. Like them on Facebook (www.facebook.com/belobabylove) and follow them on Twitter and Instagram. Have you seen the new Belo Talc-Free Powder? Do you use baby powder for your kids? I think the talk scare is overrated. I mean, our generation and the one before that used baby powder or talcum powder like there's no tomorrow and most of us turned out fine. I mean as long as we are using it in moderation, it should be alright I think. This seems like a nice product though.